Oct. 15, 2017 7:10 p.m.
Burnaby’s Central Park was packed with people on Sunday morning, all there with one goal: to bring back lifelong pensions for veterans. Hundreds of people had come out for the Equitas Society’s inaugural Walk for Veterans. Since its formation in 2012, the South Surrey-White Rock based group has been advocating for the cause through a class-action lawsuit against the federal government. The Pension Act, which guaranteed lifelong pensions for veterans, was replaced by the New Veterans Charter in 2006. “It replaced [lifelong pensions] with lump sum payments that ended up being disproportionally lower,” said society president Marc Burchell. Burchell said that although Prime Minister Justin Trudeau made a pledge to reinstate the lifelong pensions during the 2015 federal election campaign, the lack of action has left veterans feeling betrayed. “He has failed to keep that promise,” said Burchell. Currently, the Canadian government is fighting the lawsuit in the B.C. Supreme Court of Appeal. If Ottawa fails to get the result it wants, it must take the case to the country’s top court. 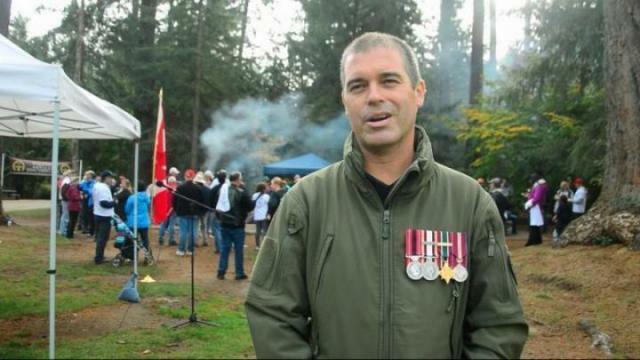 The lawsuit has six plaintiffs, including Coquitlam veteran Aaron Bedard. Bedard served with the Canadian Armed Forces in Afghanistan as part of the first combat tour of Kandahar. He served for 10 years, from 2002-2010, despite a serious injury from going over an anti-tank mine just three months in. “I hid my injuries and carried on with a traumatic brain injury and damage to my spine,” said Bedard. He returned to Canada in 2007 and was sent from doctor to doctor, but received little help. It took three years before he was released from service but according to Bedard, much of the fight remained ahead. “Dealing with Veterans Affairs Canada was immediately adversarial,” said Bedard. He learned that he would only be getting a lump sum, which in 2010 was only $250,000. To learn more about the Equitas Society, visit their website.